Kentucky Fraternal Organization Insurance. 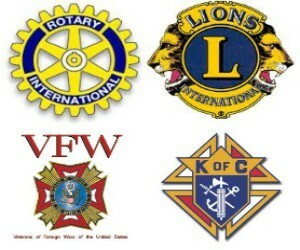 Are you the head member of a Knights of Columbus, an American Legion, a VFW, a Moose Club, or any other type of KY Fraternal Order? If so, there's no doubt that you want to do your best to ensure that the members of your club are enjoying as many benefits as possible. In order to protect yourself, your organization, and anyone who is involved with your group, it's extremely important that you invest in the right type of Kentucky Fraternal Organization insurance coverage. Kentucky Fraternal Organization insurance protects your order from lawsuits with rates as low as $37/mo. Get a fast quote and your certificate of insurance now. KY Fraternal Orders can face any number of mishaps. Someone could slip and fall at a meeting, a member of your group could file a lawsuit against you claiming that you misrepresented the club, a member of your group could embezzle funds; these are just some of the issues that may arise. Without Kentucky Fraternal Organization insurance, a situation like this could put your organization in serious financial peril; however, if you have the right coverage, your insurance provider will help to cover the costs that are associated with this type of situation - and any other number of risks. These are just some of the forms of Kentucky Fraternal Organization insurance coverage that should be considered. The specific type of coverage will vary from organization to organization and depends on a variety of factors; the size of the club and the nature of the activities that occur at the organization, for example. To find out exactly what type of Kentucky Fraternal Organization insurance your Order should carry, and how much coverage will protect your organization, speak to a reputable insurance broker. Investing in the right insurance coverage is one of the smartest things you can do for your group. 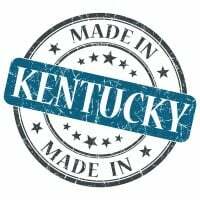 Request a free Kentucky Fraternal Organization insurance quote in Alexandria, Ashland, Barbourville, Bardstown, Beaver Dam, Bellevue, Benton, Berea, Bowling Green, Brandenburg, Cadiz, Calvert, Campbellsville, Carrollton, Central, Cold Spring, Columbia, Corbin, Covington, Crescent Springs, Crestview Hills, Crestwood, Crittenden, Cynthiana, Danville, Dawson Springs, Dayton, Douglass Hills, Eddyville, Edgewood, Elizabethtown, Elsmere, Eminence, Erlanger, Flatwoods, Flemingsburg, Florence, Fort Mitchell, Fort Thomas, Fort Wright, Frankfort, Franklin, Georgetown, Glasgow, Graymoor-Devondale, Grayson, Greenville, Harrodsburg, Hartford, Hazard, Henderson, Highland Heights, Hillview, Hodgenville, Hopkinsville, Hurstbourne, Independence, Indian Hills, Irvine, Jeffersontown, La Grange, Lakeside Park, Lancaster, Lawrenceburg, Lebanon, Leitchfield, Lexington-Fayette, London, Louisville, Ludlow, Lyndon, Madisonville, Marion, Mayfield, Maysville, Middlesborough, Middletown, Monticello, Morehead, Morganfield, Mount Sterling, Mount Washington, Murray, Newport, Nicholasville, Oak Grove, Owensboro, Paducah, Paintsville, Paris, Park Hills, Pikeville, Prestonsburg, Princeton, Prospect, Providence, Radcliff, Richmond, Russell, Russellville, Scottsville, Shelbyville, Shepherdsville, Shively, Simpsonville, Somerset, Southgate, Springfield, St. Matthews, Stanford, Stanton, Taylor Mill, Union, Versailles, Villa Hills, Vine Grove, Walton, West Liberty, Wilder, Williamsburg, Williamstown, Wilmore, Winchester and all other cities in KY - The Bluegrass State.